The global power inverter market has witnessed a healthy growth in the past years as a result of a rise in urbanization in the developing nations. Electrification rates and technological innovations are also boosting the market growth further. The latest report by IMARC Group titled, “Power Inverter Market: Global Industry Trends, Share, Size, Growth, Opportunity and Forecast 2017-2022”, finds that the global power inverter market reached a value of US$ 60 Billion in 2016, growing at a CAGR of nearly 7% during 2009-2016. A reliable and economic alternate source of electricity, power inverter changes direct current (DC) from a battery, solar panel or fuel cell to alternating current (AC). This current converted by the power inverter can be used to run and operate several appliances and lights. On the basis of the alternating current wave produced, the three major types of power inverters include square-wave inverters, modified sine-wave inverters and true sine-wave inverters. Increased urbanization and electrification rates are stimulating the market growth. Motor drive represents the most popular application of power inverters. 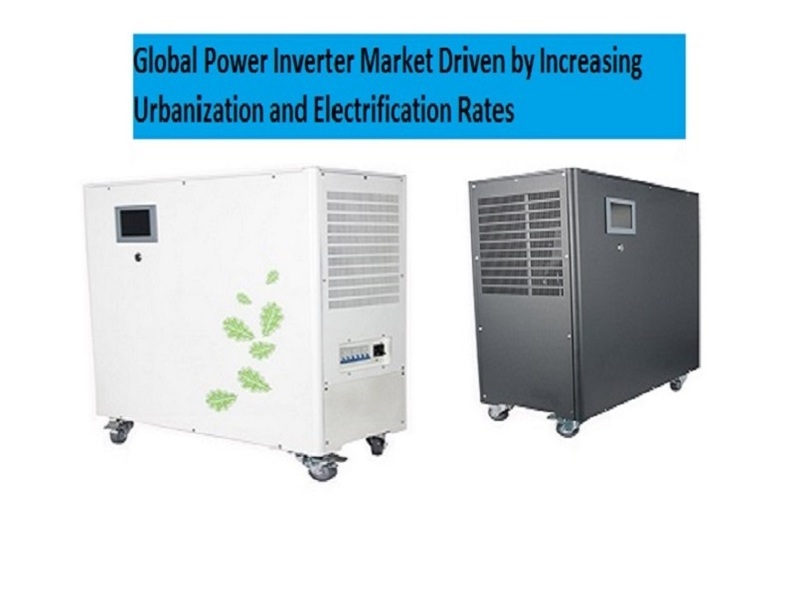 Asia-Pacific is the largest market for power inverters owing to high urbanization rates in the regions. The global power inverter market is experiencing a healthy growth on account of a number of favourable factors. Over the years, urbanisation has created a demand for various amenities, particularly continuous electricity. This has led to a surge in the market for power and power alternatives such as inverters. Additionally, due to the prominence of electronic gadgets and appliances in the everyday life of a large section of the population, the necessity of uninterrupted power supply has facilitated the growth of the market. A number of developing countries are also targeting rural areas for electrification, thereby, leading to a demand for power inverters which are used as power backup for various purposes. Furthermore, innovations like portable power inverters which can be used while travelling are proving to be a catalyst for the market growth. As a result of these factors, the market is further expected to reach a value of US$ 90 Billion by 2022. The global inverter power market has been segmented on the basis of product type which includes <5KW, 5-95 KW, 100-495 KW and >500 KW. On the basis of application, motor drives represent the most popular segment, accounting for the majority of the market share. Other applications include UPS, rail traction, wind turbines, EVs/HEVs and solar PVs. Region-wise, Asia-Pacific dominates the market followed by Europe, North America, Latin America, Middle East and Africa. On evaluating the competitive landscape, it is found that SMA Solar Technology, Omron, ABB, Tabuchi and TMEIC are the key players in the market.